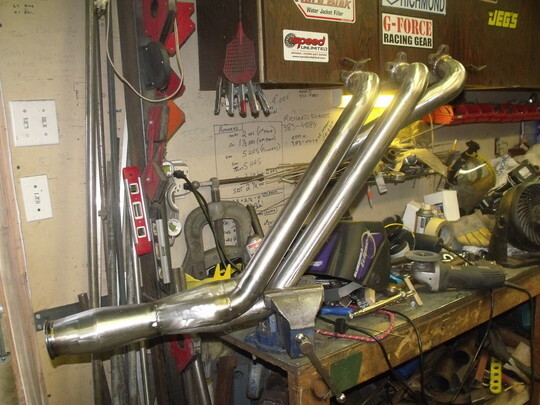 custom stainless 2" tube headers are finished and in the car.hope to have it running in the next week or so. hey there ! been a while. just got the motor back in the car yesterday after having an issue with some oil lines in late 2013 causing the rebuilt motor to burn up some bearings and did some crank damage so had to take it apart again and rebuild it . my daughter passed away on april 5th 2014 so that also set things back but family first. my grandson who is two years old is living with us and has been since he was one year old. as you can imagine time is a luxury now as the little fella keeps me hoppin but I love it. I just have to hook up the stuff on the motor like the blower and all that . hope to get a drive in it before the snow flies. will be ready for next year though. Sounds like everything is coming together for you. Enjoy your grandson and have fun with the car. it's running now ,had it out for a drive today and all seems well. had a couple of small issues with water leaks and such but its all good. needs to go for another tune at marken performance in Kitchener for some fine tuning. yup but ready for next spring!! My sixer's fun down low, and on the street, but you two are at a whole other level... Those Vortechs pull hard on the big end. You and Gary are pulling numbers that a lot of GT guys are envious of. 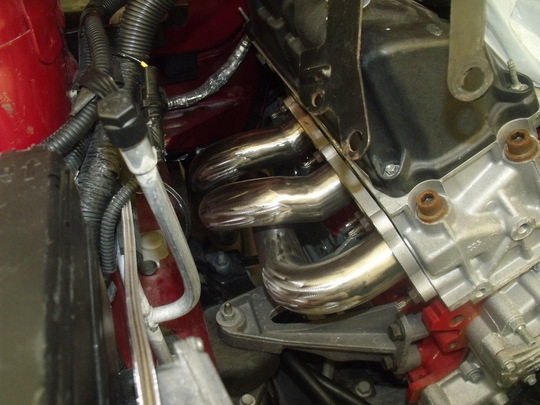 this is awsome a site where you dont get bashed on for modding a v6 and being told just buy a v8. I am new to this site i have a 2009 4.0 v6 mustang with bolt ons and 91 octane. 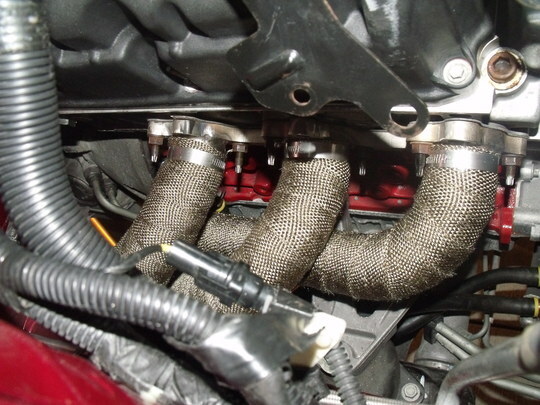 It is nice to see people modding their v6 mustangs. You won't see any bashing here. There are a few of us around with modified 4.0 cars.